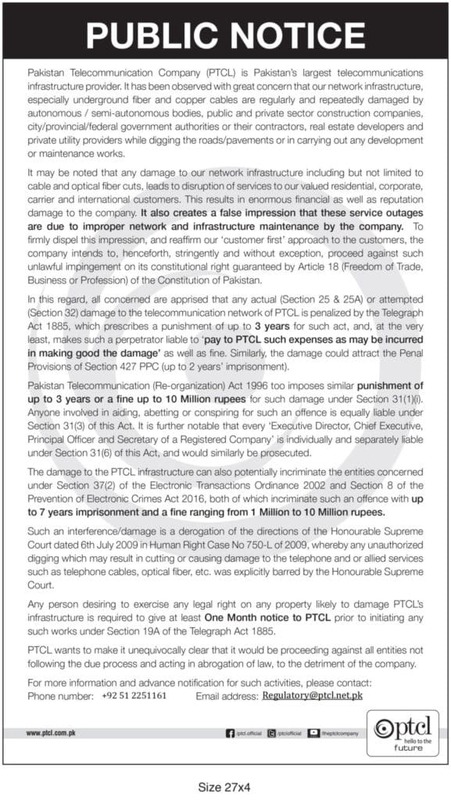 PTCL, today, published a public notice in print newspapers to highlight that its infrastructure is damaged by variety of entities including individuals, private and government construction firms, municipal, district or provincial contractors, real estate developers, road builders and so on. Company said that such development work and other construction activities result in cable cuts (both fiber and copper media) that disrupt services. PTCL, in its notice, said that such infrastructure damage causes service disruption to businesses and home users that ultimately leads to loss of business for many. 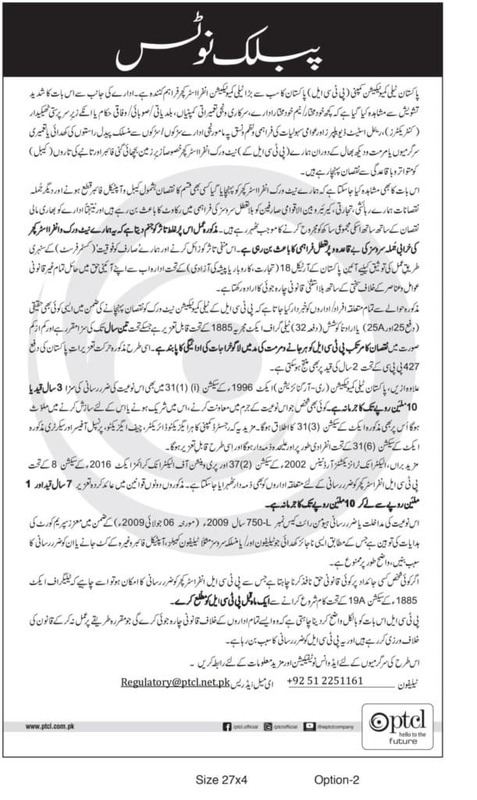 As per Telegraph Act 1885, any effort to disrupt PTCL’s infrastructure can get an individual a sentence of up to three years and fine to cover the infrastructure damage. 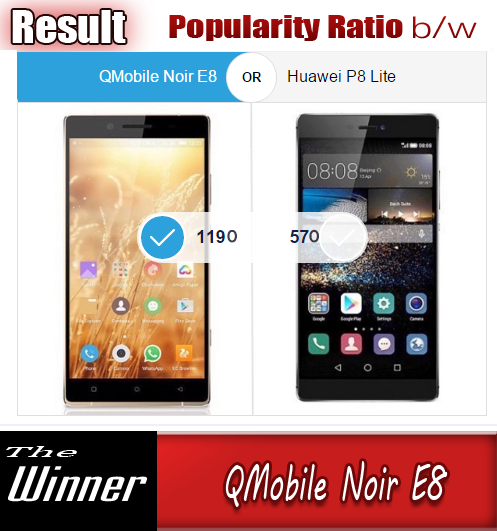 As per Pakistan Telecommunication Act (1996), any attempt to disrupt telecom infrastructure is dealt with a prison term of up to three years and fine of up to Rs. 10 million or both. As per Electronic Transactions Ordinance (2002), anyone causing damage to telecom infrastructure can be put in jail for up to seven years and a fine of up to Rs. 10 million. Not to mention, PTCL is yet to issue a report on its country wide outage from December 2016. During the incident, PTCL’s landline and DSL services were disrupted across the country. Along side Ufone and all depending operators were also impacted. PTCL had said that an investigation was launched, however, no report has been released to public so far.